Do you need a table saw? No worries if you are on a budget! We have lined up the 5 best table saw under 1000 dollars. As far as buying tips goes, we have covered that too. You will find the answers to all the vital buying-related queries. How many type of table saws are there? How to make a list mapping out your needs? What to Incorporate in the List before buying? How to check Brand quality? How does choosing a good brand product help? There are 4 types: a contractor, portable, hybrid, and cabinet design! Portable saw table are mainly designed to help move it as preference. They are lightweight, compact size, have sliding table and come with stands and universal motor. They are not suitable for high end finished wood work but great for job site basic cutting requirement. Contractor table saw have induction motors, cast table, a good quality fence, can support heavy duty work and better adjustable motor gauge. So, in comparison to portable table saw, everything is upgraded in this tool. That said, it is not conveniently portable but you can say it's movable. Hybrid table saw have a better dust collection feature. It has a case in the bottom part of the seal. Therefore, the saw dust, rather than dropping off like in the contractor table saw, is tidily collected in the case. Cabinet table saw is a tool that would last you a lifetime. Extremely well built to support all sorts of heavy-duty wood work. This is a big apparatus and best fit to keep in one place. In order to find the befitting table saw for your, scan through their features, benefits and drawbacks. It will give you an overall idea! Strike a comparison between the specifications of the products you like. All the table saws slightly vary in their design, features and detailing in order to suit individual user requirements. Therefore, if your find any product type matching all your needs appropriately and it also comes within your budget, then that's your perfect pick. So, jot down all your needs first to know exactly what you need to look for in the product before purchasing. A rough estimation of usage time span. If you consider upgrading your table saw after about a year or two, buy a basic apparatus within an affordable price meeting your current requirements. For a prolonged usage, go for an advanced premium quality design. We always end up checking the price of the product first! Don't we? But isn't it primary to check the storage space available? If you don't have spacious area, choose compact or collapsible table saws. Irrespective of whether you need the tool for personal or professional purpose, you must thoroughly inspect the table saw's motor. You can calculate the cutting control & strength of the apparatus by the motor's RPM. Check the rip capacity and how deep can the table saw cut. All this will aid you in making a sound choice. Finding the best table saw at a fair price would be a good buy only when it's convenient to use. A complicated and difficult to use product will cause you trouble. Go through the details of operating the tool and you will know whether it's easy or too complex for you. A quick and easy set-up, along with simple follow-up or maintenance instruction will help you. Dig deeper to find if the table saw is compatible with certain standard accessories available in the market. The table saw can become more versatile. Having a pre-planned budget gives you a practical range and saves you from over-spending and regretting later. Shortlist the products that suit you within the fixed budget. Compare the features of your sorted products to zero down on the product which offers you the maximum utility and features within the budget. Each table saw is professionally designed adhering to safety standards. Yet, your safety is in your hands and you should find the table saw equipped with the most advanced technologies. Products having emergency power-off switch, anti-kickback features, flesh detection technology are advisable. 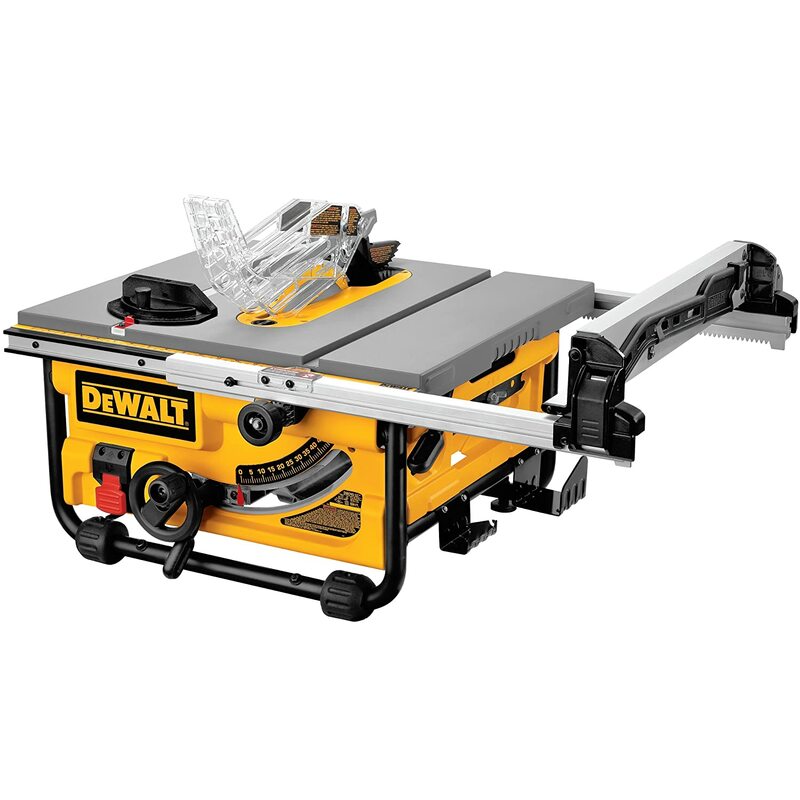 Before purchasing a table saw, it is essential to consider the maintenance details because certain table saw products can be very tough to maintain. This would lead to paying a good sum to the table saw maintenance services. So, be alert and wisely take an easy to maintain apparatus. However, if you find a product which fits all your needs, has additional benefits and you are fine with the annual maintenance charges, you can definitely buy that product. You can easily get lost in such a big and chaotic market nowadays. In such case, the best way is to opt for those brands that have a verified track record of manufacturing and selling premium quality table saws. 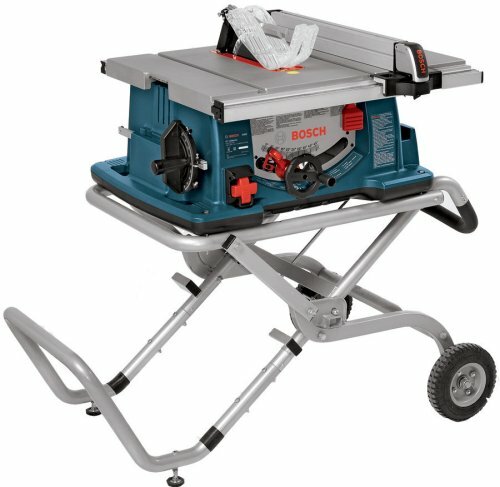 The Bosch 4100-09 table saw comes in an excellent 10-inch robust design, a perfect fit for those who specialize in woodwork. You cannot miss its gravity rise stand. Its slow 15-amp universal monitor totally grips the buyer's attention. The reason this product is in our top 5 is the highly developed built-in functions. The upgraded tool-free blade guard system totally makes it worth buying. Not all table saws have such advanced guard systems designed in the product: anti-kickback pawls and riving knife system. With this at hand, you can do all your wood related works without removing the guards. You achieve a finer line of sight & paramount protection with the split-guard technology. It can also support various accessories to further enhance its performance. Managing and carrying Bosch 4100-09 is quite easy owing to its strong base and in-built handle grips. All the dust from the wood will no longer create a mess thanks to the dust collection system. Dewalt 749 is suitable for daily wood work. Since this tool comes under $1000, it would come within your budget. It is designed for anyone who is passionate about creating their home furnishing and styles. Be it remodeling, DIYing or repairing an old wooden drawer, it can help you. The 3-year manufacturer warranty makes it more buyable. This is just the tip of the ice-berg. The Dewalt 749 comes with some mind-blowing features that can totally make working with the wood feel awesome. Do you do loads of wood work at a go? No worries! This product's 15 amp motor is equipped to handle that. You can adjust the fence according to your convenience. It also comes with an automatic brake system to give users the right control of the machine. Its onboard storage system makes it super convenient to store and protect various parts when not in use. 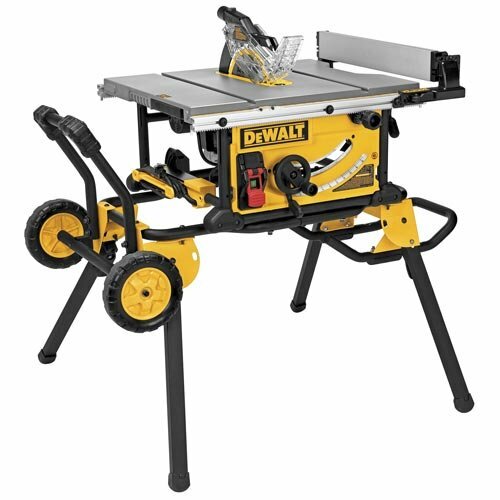 The Dewalt DW745 table saw is the ultimate combination of professional wood work station and reasonable price. With the powerful performance, large rip capacity and comfortable guarding system, the low price is simply unbelievable. Among the 5 products reviewed, this babe is the winner in the transporting convenience, accuracy & resilience race. Due to the very light-weight built, users carry/move the tool as per preference without any trouble. The Dewalt DW745 also has a very strong 15-amp high torque motor. You can rip apart full sheets of wood effortlessly owing to its 20 inches rails adjustment facility. As far as safety goes, this tool ensures your fingers & hands are well guarded with the modular guard system. Regarding the cutting, the 10-inch super sharp 25 tooth carbide blade glides through the wood smoothly. This Dewalt DWE7490X table saw is a high-capacity tool. Unlike others tool, the scissor-like folding stand is also included in this product. The cutting surface measuring up to 28 inches is definitely a good spacious area for job site working professionals. The sturdy motor accompanied with the fence ensure a smooth, quick work while maintaining your safety through-out. If you need to shift the saw table while working, this stand can cause your some trouble. Without any moving wheels as well as the heavy weight, this stand is almost immobile. The Makita 2705 is a great buy within $1000. This Contractor table saw is designed to suit both personal as well as professional usage. The flat and spacious table top offers convenience and precision in the wood cuts. It has 15-amp motor features 4800RPM power which can rip woods effortlessly. If you are passionate about remodeling your home, this easy-to-use tool is a perfect pick for you. The professionals will be awed with the accurate cuts. Its compact design catches buyer's attention immediately. You can adjust the blade or remove it as it comes with cam lock and features a tool-less blade guard system. The 2 anti-kickback systems ensure safety for users. 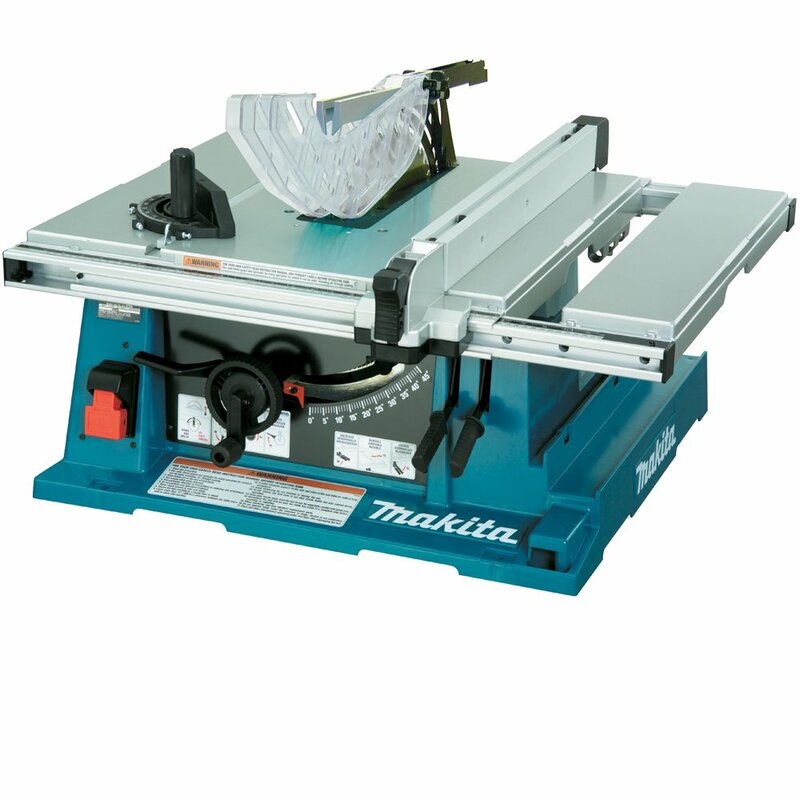 The 5 table saws less than 1000 dollars listed above are of premium quality, precise performance and extra safety. They have been designed by experts considering the ease of use, user safety, storage convenience, price, motor & cutting power. 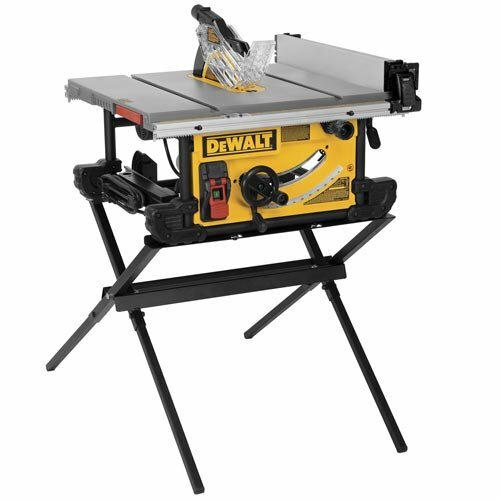 My personal favorite is ﻿DEWALT DW745 10-Inch Compact Job-Site Table Saw. It gives me the ease of movement as I need in a portable tool. Extremely powerful yet light weight with a superior sharp blade and motor system. Availing it at a reasonable rate with all the features of an expensive brand product gives me the ultimate satisfaction. Anybody needing a table saw, I would suggest not jumping into a conclusion and end up spending more than necessary. These table saw under 1000 dollars can impress you with their extreme power and advanced technology. The reviews of these products will allow you to dive deep into their details and help you take a sound decision. Previous Post Track Saw vs Table Saw – Which is the Best? Next Post Miter Saw vs Chop Saw – Who is the Best Companion?